A visit to my doctors confirmed fractures in my right wrist and left elbow that will leave me unable to perform live concerts for the immediate future. Sadly, this means that the following shows will not be able to go ahead as planned: Taipei, Osaka, Seoul, Tokyo and Hong Kong. I’m waiting to see how the healing progresses before we have to decide on shows beyond that. Please stay tuned for more details. PS – Ed isn’t typing this as he has both arms casted/bandaged. 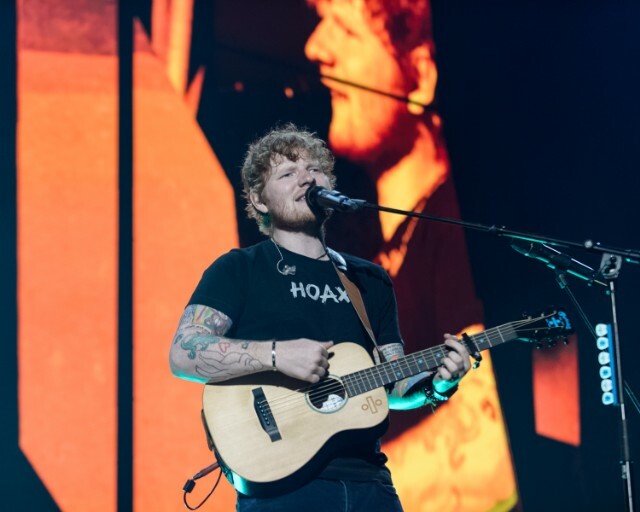 Sheeran has canceled performances through November 5. He was scheduled to perform in Taipei, Osaka, Seoul, Tokyo, and Hong Kong. The rest of his Asian tour dates are scheduled through the middle of November, before breaking until March 2018.